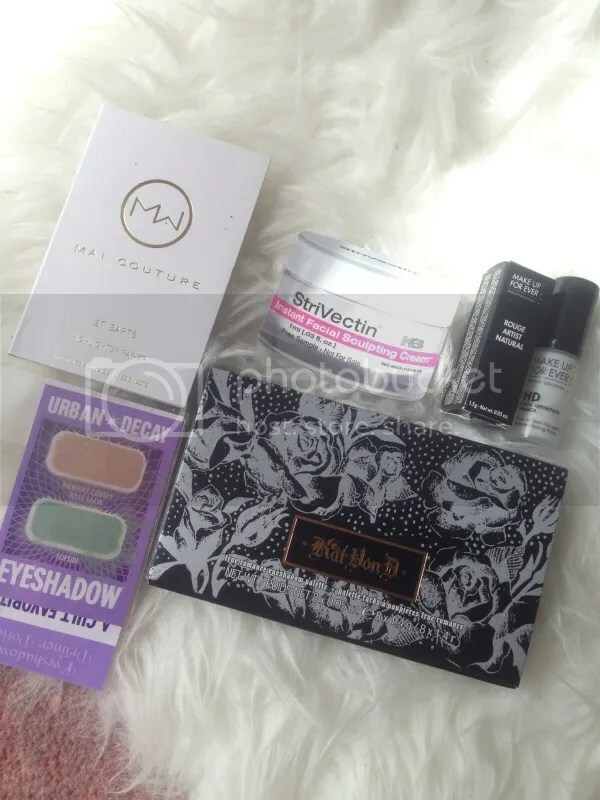 Latest Swap.. | Becky Alyssa's Beauty Box. Finally I’ve got around to writing about my swaps! This is currently my 14th swap via Makeupalley and I can’t wait to do more. I’ve got in contact with so many lovely, generous and sweet ladies..and it’s always fun to get gifts in the mail! For anyone not familiar with swapping, you upload a list of ‘swap items’ (new, and hygienic gently used products that you don’t use) as well as a ‘wishlist’ – items you’re currently lusting after. You can search through other members’ lists and get in contact with anyone who has a product you want and offer to trade one of your items, or vice-verse. But is it safe? How do I know people aren’t going to steal my items? If anyone’s interested, I’ll write a short guide about my experiences and general tips for swapping makeup online – I’ve enjoyed it so much and I’d love for more people to get into it! Here is a package I received from my very generous swap friend Tatiana – truthfully I hadn’t had the best day and receiving this big package in the mail made me very happy indeed! Kat Von D ‘Saint’ Palette!!! I’ve been after this for ages and can’t WAIT to try it out – and review it for you! Make Up For Ever HD Primer – I’ve never tried any MUFE products but heard nothing but wonderful things about them! I’m all about my NARS primer with sunscreen right now, but this will no doubt be invaluable in the coming months. Make Up For Ever Rouge Artiste Lipstick – Not one, but two MUFE goodies! This tiny mini-size lipstick is a seriously bright vibrant red, wow! It’s an orange-toned red similar to MAC’s ‘Lady Danger’ – I wonder how they compare? Urban Decay Eyeshadow & Primer Potion Samples – I’ve never seen eyeshadow samples like this, such a great idea for trying new shades without the commitment! This card features ‘Midnight Cowboy Rides Again’ and ‘Flipside’, both shades I’ve heard excellent things about. 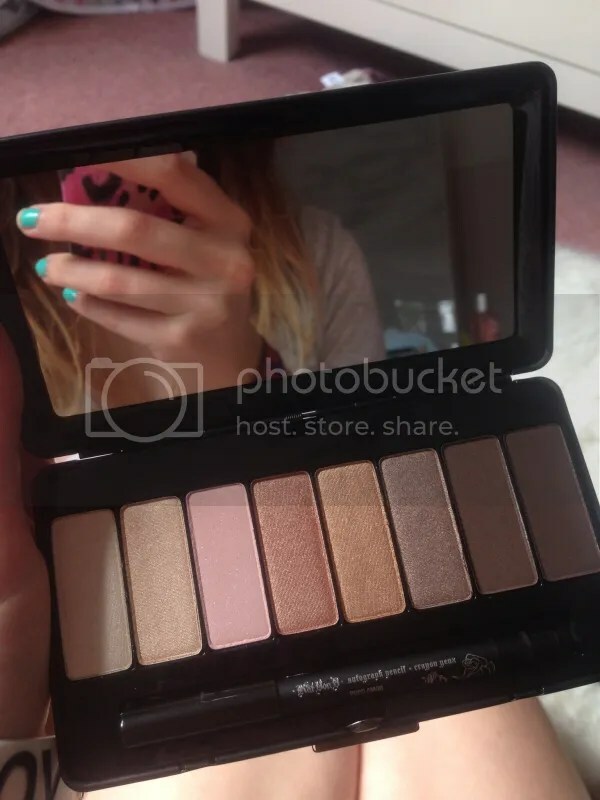 I already have a mini UDPP from my Naked palette and the formula is wonderful, if a little expensive! Mai Couture Highlighter Papers – Again, something I’ve never seen before! Simply rub one of these shimmery gold-bronze papers on any areas you’d normally highlight. As these are in book form I can image they’d last a while. The colour is gorgeous too. StriVectin Instant Facial Sculpting Cream (Sample) – Admittedly this looks a little scary, but I’m willing to try just about any products! I’ve heard of it but never seen it in stores before. Have you ever swapped before? Good/bad experiences? & how amazing is the lovely KVD palette?! This entry was posted in Uncategorized and tagged swap. Bookmark the permalink.